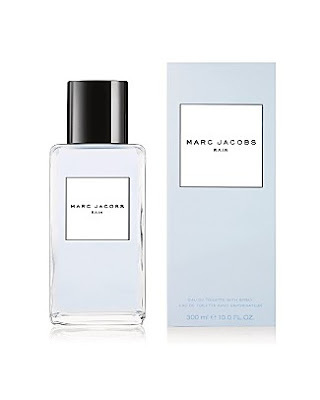 I've long been a fan of the Marc Jacobs Splash fragrances. And the new ones for summer really hit it right on the mark! They're light, fresh, airy and crisp -- perfect for hot days spent frolicking in the surf and sultry summer nights spent dancing under the stars. The bottles may look relatively simple in design, but they actually rate as some of my favorites. The oversized rectangular bottles each hold a whopping 10 fl. oz. of fragrance -- which may sound unbelievably huge, but since they spray on lightly it's quite easy to use them up before much time has gone by. I also love that they come with both small and large caps and a spritz tube. 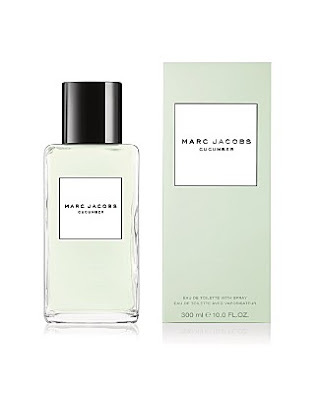 Marc Jacobs Cucumber is delightfully fresh with absolutely no reminiscence of a summer salad. Combined with morning dew, it leaves a light sweetness upon the skin. Marc Jacobs Rain will keep you loving the scent of fresh rain without having to carry around an umbrella. If you're like me, you love the scent of rain but absolutely hate getting caught in it -- especially when walking around NYC! And with essences of cotton and grass mixed in, it's absolutely lovely. Each Marc Jacobs Splash fragrance retails for $68. I've been looking for a new summer scent that is "light, fresh, airy and crisp," and these look like they will hit the spot. Who wants a heavy fragrance weighing them down when it's so hot outside? Can't wait to smell the cucumber. Thanks for the review!